Cinecittà is a film studio in Rome, Italy. Filmed there are some of the greatest films of all time; Roman Holiday, La Dolce Vita, Fellini’s 8 1/2 and Cleopatra were products of the studio. 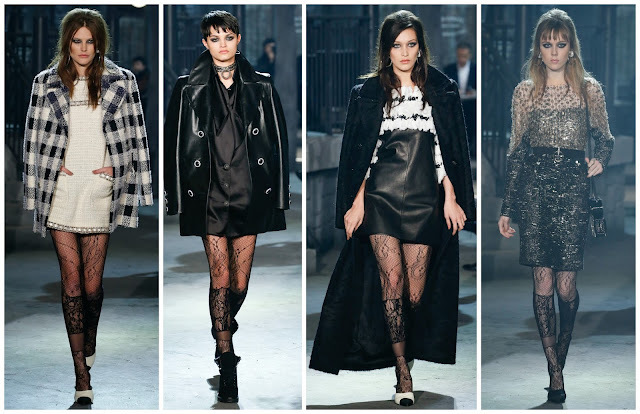 It provided the venue for Karl Lagerfeld’s pre-fall 2016 collection for Chanel. A film, Les Enfants du Paradis was one of Lagerfeld’s inspirations for the collection. It’s protagonist is an “lovely and enigmatic” woman. It perfectly encapsulates the Chanel woman, no? In light of the horrible terrorist attacks that took place in Paris last month, Karl Lagerfeld recreated the romanticism that Paris shed over the past year. Literally bringing Paris to Rome, a street was created. Equipped with a café, boulangerie and more, the residents of this neighbourhood were ravishingly clad models, who emerged from a Metro station. Ingenious. Australian model Catherine McNeil was the first to appear, stalking the makeshift Parisian night in a tweed mini dress with a checkered coat draped over her shoulders. The kohl-rimmed eyes and beehive hairdo imbued the bad-girl spirit in this collection. There was a sexiness in this collection which heretofore merely bubbled under the surface. The models all wore lacy tights. Coats were longer than the dresses underneath them. The use of leather and PVC also sexed things up. Lara Stone’s leather dress dress with a chiffon hem was one standout. There was a purple, shimmering wool bodysuit worn under a loosely belted coat. The black PVC skirt worn with a white one shouldered top, resembling ancient Roman dress, was another uncharacteristic piece in the collection. There were parts of the collection which gave us a taste of Karl’s take on boudoir dressing. There was Soo Joo Park’s icy blue lace gown and Bella Hadid's stylish lace nightgown. Of course there was some more of the same. Lavish tweeds suits, an investment piece for both men and women this season, were featured to their usual extent. Molly Bair’s midi-length, sleeveless jacket was perhaps the most modern rift on a signature Chanel trope. The menswear was an amalgamation of womenswear past. One three-piece festooned with feathers wasn’t the most likeable look. Unless you’re spending Christmas in Gstaad, I’d skip this one if I were you. The men’s shirts later in the collection instantly reminded me of the Paris/Istanbul collection. With their ballooned sleeves, I didn’t particularly like them. The boots for this collection were fantastic. The clothes in this collection gave the viewers what they wanted to see. Hopefully it will have the same effect on the customers come May. 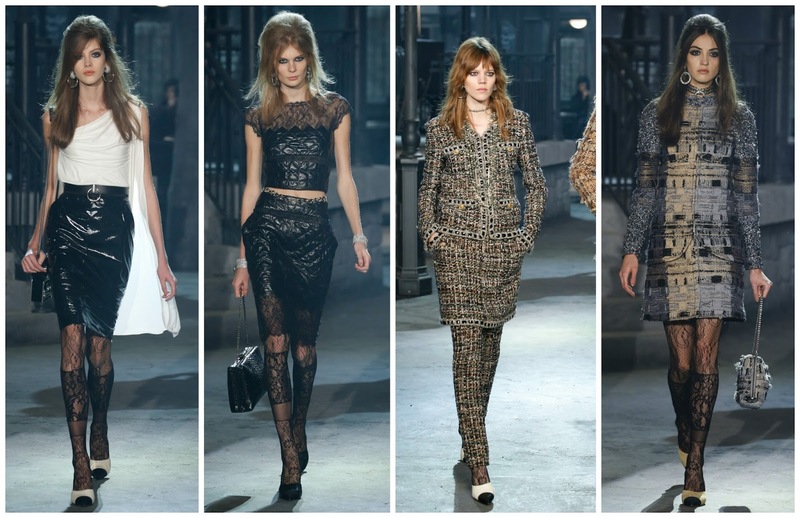 It was a departure from what we’re used to seeing from Lagerfeld and proved to be the best Chanel collection in years. The dearth of sexiness in recent years was made up for by this. Sure it wasn’t Joseph Altuzarra or Tom Ford, but it was singularly Karl Lagerfeld. I’ve seen many people question why the show was held in Rome. The official hashtag (yes, that’s a thing) was #ParisInRome. Lagerfeld did just that. He brought Paris to Rome. Fittingly, the show was held in a renowned Italian film studio. A Parisian street was constructed in Teatro 5. 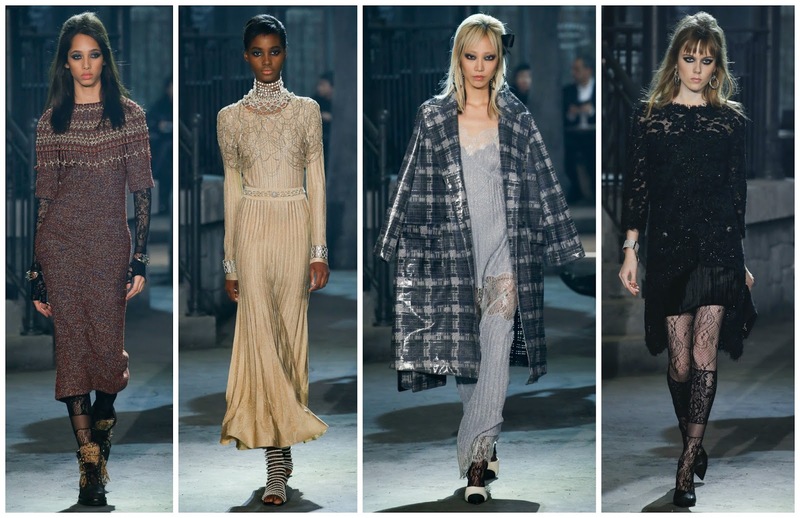 It was atmospheric and, in true Karl Lagerfeld style, it was theatrical. The exception this time: it wasn’t distracting, it contributed to the brilliance of it all.